Lead is becoming less common due to health concerns, but there are still places where you can buy lead ingots, sheet lead, and lead rolls. Popular stores that sell lead include Amazon, Bass Pro Shops, and Lowe’s. If you’re looking for scrap lead or free lead, you’ll want to try eBay or a junkyard or shooting range. Whether you’re looking for lead to melt and cast to make bullets, fishing weights, and other items, or you’re looking for sheet lead for waterproofing, we have the list of places where you can find lead. Lead can be purchased in ingots, or blocks, for melting or casting, or in sheets and rolls for construction projects like roofing and waterproofing. You can also find lead in scrap form. We have the list of places to buy lead — no matter what type you’re looking for. Note: The Environmental Protection Agency (EPA) offers guidelines to help protect your family from lead exposure. Lead exposure is particularly dangerous for children under 6. 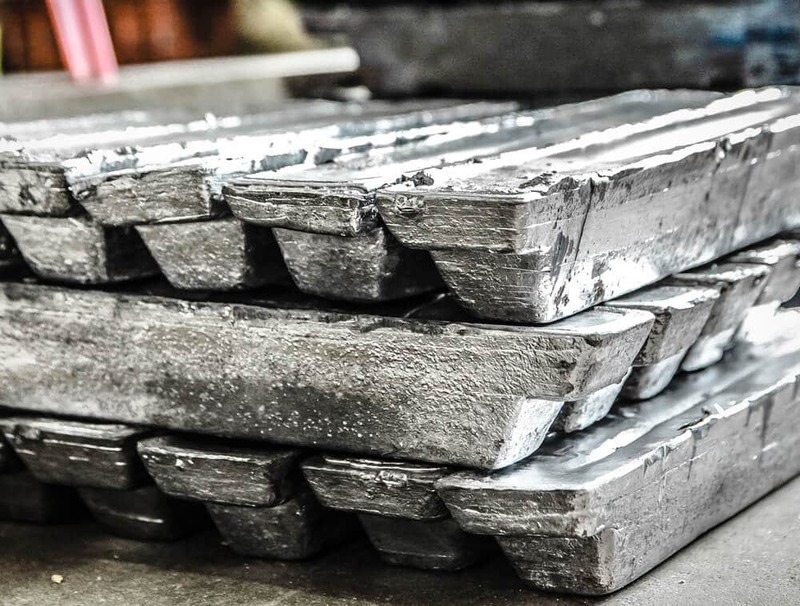 If you’re planning to melt lead, you don’t necessarily need to purchase lead ingots — you can buy scrap lead instead. Private sellers may post scrap lead on eBay and/or Craigslist. Beware: Be sure to check the quality of the lead before purchasing, and, keep in mind, most sales on eBay and Craigslist cannot be returned. How to get free lead: Call your local auto repair shop and ask if it has scrap lead — specifically, wheel weights. If so, see if the shop might be willing to give it to you for free. How to get free lead: Contact a nearby construction or roofing company and ask if it has scrap metal — specifically, sheet lead or lead rolls. If so, ask if the company might be willing to give it to you for free. How to get free lead: Contact or visit your nearest junkyard or scrap yard to see if it has lead products like wheel weights. If so, ask if you can come by and pick them up for free. How to get free lead: Contact a local shooting range and ask what it does with the bullets that are shot and then recovered. If it scraps them, ask if the facility would be willing to give them to you for free. Now you know where to buy lead ingots and where to find scrap lead. There are health concerns about lead exposure, but you are still able to purchase lead ingots, sheet lead, and lead rolls from stores like Amazon, Cabela’s, and The Home Depot. To find scrap or free lead, try eBay or an auto repair shop or shooting range. Be sure to check the quality of the lead and be aware of the health risks.